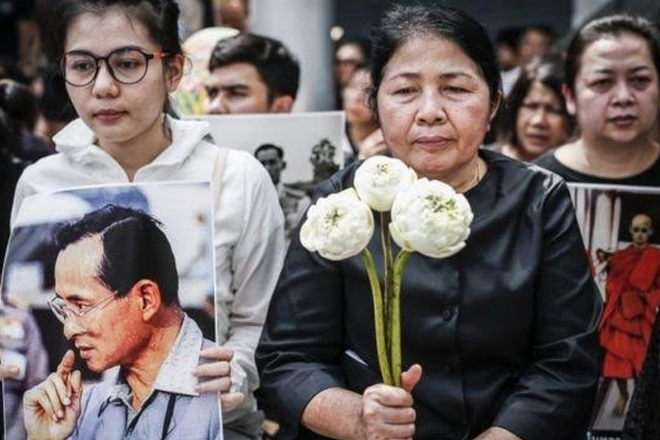 Thousands of Thais have packed Bangkok streets to see a convoy carrying the body of King Bhumibol Adulyadej. The convoy passed through the capital to the royal palace as mourners wept and held up portraits of the late king. Millions watched live on TV.